My name is Marco and I turned thirteen yesterday. My favorite flavor of ice cream? It's probably strawberry. 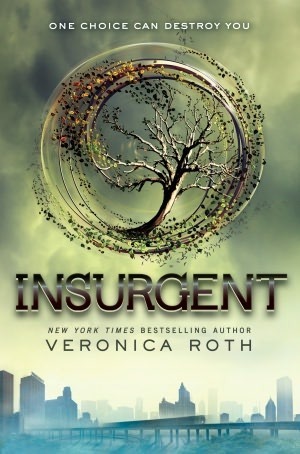 I read INSURGENT by Veronica Roth. I chose it because I felt it would be a really good book and would have a lot more details than the movie. It's so good, I read two hundred pages in one day and didn't even realize it! I liked the ending when she figured out why she was inside the fence. I'd probably stick with my brother and wouldn't leave him. I didn't like how Tris kept turning her back on Four so many times and he kept coming back. If someone did that to me, I'd be like, "Are you kidding me?" It's a book that makes you want to read all day. It puts you in a different landscape and it feels like you actually see the characters and imagine it happening to you. It's really cool. And you get to imagine Chicago ruined. I think it's maybe about a corrupted environment with all the roots and branches of the tree falling apart. The corrupted tree, the corrupted factions, and the corrupted government - it all goes together. Yes! 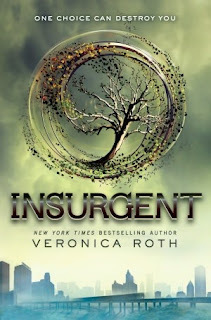 I'm reading ALLEGIANT soon. The HUNGER GAMES, definitely. It's also about a girl who is different. Katniss doesn't have a special power, but a special ability to shoot with a bow and arrow and she can't be controlled by the government. And there's a guy in that story too. Four and Peeta have a similar concept. And they are both against the government like Tris and Katniss. So many of your ideas are funny and cool. How did you come up with a ruined Chicago? I wrote a rough draft and I felt like it needed a more grounded sense of place, and I looked at the city I had described, which is all these trains constantly moving, and this lake marsh, and these rivers. And I realized that it was Chicago already, and it was just because that's the city I've known and loved the longest.